Our free German lessons are an online adaptation of Foreign Service Institute (FSI), German Basic Course (Volume 1). This Free online Italian language program includes 12 lessons, Each lessons includes Basic sentences, Conversations, Grammar explanations, various Practice drills and a Vocabulary section. 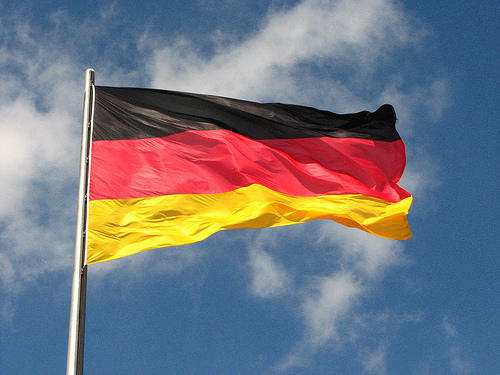 This German course includes around 16h of audio (MP3 format). lt is the aim of the course to provide the student with a basic vocabulary which meets the basic needs of a foreigner living in Germany. Students should be able to make limited practical use of the language in their daily life. Students will furthermore have the means, given the proper surroundings and personal motivation, for continued rapid and efficient development of proficiency. This is a course in Spoken German; the forms and patterns of the language are intentionally colloquial. The emphasis in instruction is everywhere on speech, and an indispensable component of the learning process are the audio files. The method of instruction incorporates guided imitation, repetition, memorization, pattern practice, and conversation. Ideally, this course should be undertaken with the help of a German native speaker willing to play the role of a tutor. The tutor's role is to serve as a model for speech and to guide the student to accurate imitation by constant repetition and correction. The student's job is to watch and listen to the tutor carefully and to imitate as exactly as he/she can the sounds which he hears. He must be prepared for constant correction and repetition. Only by constant repetition after an authentic model for speech can habitual fluent and accurate reproduction of the sounds and forms of the foreign language be achieved. The ultimate goal of the course, as has been stated above, is to speak accurately, fluently and easily. The text provides for the assimilation of all basic forms and patterns of the language by the guided imitation, memorization, and manipulation of a large number of sentences and by practice in confronting several widely occurring everyday situations. Actual living use of the language in free conversation is a necessary and essential adjunct. The tutor should therefore encourage his students from the start to use the language in every way possible, above and beyond what is provided for in the text. After the first few days of work both students and tutors should avoid the use of English in the classroom for any purpose at all, and they are encouraged to speak German outside the classroom as well. Only by constant use of the skill he is learning can the student hope to master it and retain it as a useful tool of his profession.